Hanil Express - View timetables, Compare and book ferry tickets at directferries.ie. Hanil Express connects Wando on the South Korean mainland with the islands of Jeju and Chuja. 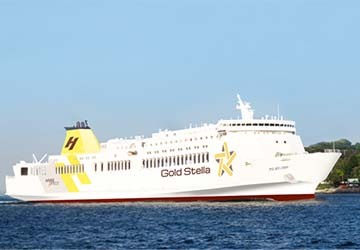 Hanil Express are one of South Korea’s largest and best known ferry companies and have been in the industry for more than sixty years. Hanil Express operates three car ferries between Jeju and Wando. The Hanil Blue Narae and the Hanil Car ferry 1 sail direct to Jeju while the Hanil Car ferry 3 stops over at Chuja Island. Ferry crossings to Jeju generally take around 90 minutes while the crossing to Chuja is around 2 hours. The three ships vary in style and service. 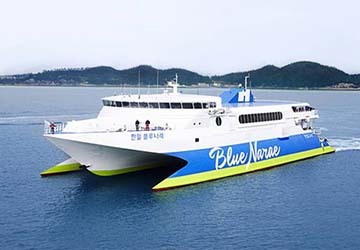 Hanil Blue Narae is the high speed car ferry operating the quickest crossing between the mainland and Jeju and can capacity for up to 570 passengers and 63 cars. 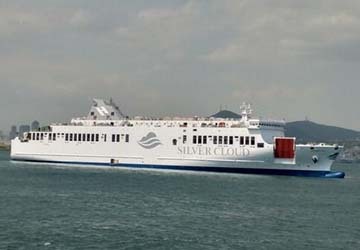 Hanil Car ferry 1 is a larger more traditional cruise ferry able to carry up to 1000 passengers and over 100 cars. View Hanil Express timetables, prices and book Hanil Express ferry tickets with directferries.ie. Looking for an alternative route or ferry company to fit your plans? Don’t worry, we’ll also compare Hanil Express with alternative ferry companies in your search to help you choose.